Quanzhou Tucson Age Security Technology Co., Ltd.
Shenzhen HQT Science&Technology Co., Ltd.
Nanning Hizbao Security Equipment Co., Ltd.
3. Q: Can you offer free sample to test9 A: In General, for new customer you pay the sample fee first, but wehn your order reach required amount we refund the sample cost to you. 4. Q: Do you accept customized9 A: Yes, wo did produce customer requirment, OEM & ODM are 5. Q: When can you ship the item9 A: 1-3 days for sample order, 3-5days for bulk order. 6. Q: When can i find tracking in Internet9 A: Usually, we will give you the tracking number and you can find the information on Internet in 2days. Fujian BelFone Communications Technology Co., Ltd.
6. Q: When can I find tracking information of sample9 A: We will send you the tracking number of sample within 2 days after delivery. 7. Q: How do you ensure your quality9 A: The product is designed and produced with good material in the industry. Thanks 8. Q: When can I find tracking information of sample9 A: We will send you the tracking number of sample within 2 days after delivery. Fujian Quansheng Electronics Co., Ltd.
Quanzhou Yanton Electronics Co., Ltd.
2.Warranty : 12 months for body radio ; 6 months for accessories. We have our own molding factory to offer customized samples for you. Our QC team is with eight years of experience on average. Quanzhou Tesunho Electronics Co., Ltd.
Fujian New Century Communications Co., Ltd.
Chongqing Zhuojie Trading Co., Ltd.
Guangzhou Tiger Electron Science & Technology Co., Ltd. If still same problem, please send the radio back to your authorized dealer repair. Q. If it is broken or twisted, please return the radio to your authorized dealer for maintenance during warranty. Q. The VHF has difficulties penetrating steel and concrete, UHF does better in and around buildings. Quanzhou Truest Communication Co., Ltd.
Quanzhou SFE Electronic Technology Co., Ltd. 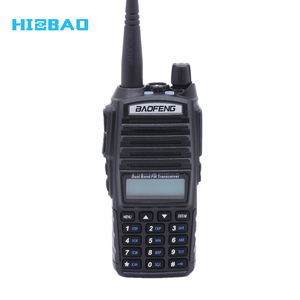 Product Category PRODUCT CATEGORIES &rarr; VIEW ALL Business Two Way Radio Wireless Repeater Mobile Radio Digital Mobile Radio(DMR) Professional Two-way Radio Amateur Two-way Radio PMR446 Free Licensed 2017 Popular best-selling sfe 220g walkie talkie with texting Features: 1. 16/128 Channels (Selective) 2. Power Output: 5W/2W/1W 3. 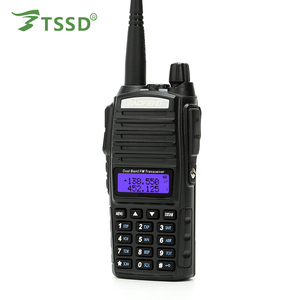 CTCSS/DCS/DTMF/2Tone/5Tone Encode & Decode 4. Side Key Assignment Programmable 5. Various Scan Modes 6. Wide/Narrow Bandwidth 25KHz/20KHz/12.5KHz(Selective) 7. VOX Programmable (10 levels selective) 8. FM Radio (Selective) 9. End-tone Elimination 10. 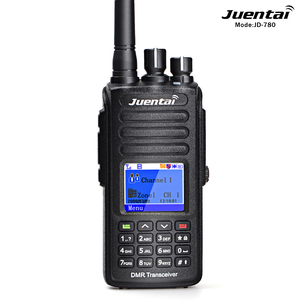 Size: 53*28*104mm Specifications: S780H two way radio Frequency Range 136-174MHz / 400-470MHz Channel Capacity 16/128CH Channel Spacing 25/12.5KHz Operating Voltage DC:7.2V Battery Capacity 1600mAh(Li-Ion) Battery Life About 11-17 hours Operating Temperature -30&deg;C~ +60&deg;C Frequency Stability &plusmn;2.5ppm Antenna Impedance 50&Omega; Dimension 53*28*104mm Weight 220g Transmitter Frequency Error &le; 5 X 10-6 RF Power Output &le;5W Modulation Limiting &le; 5KHz Spurious Emission &ge;65dB Modulation Distortion Less Than&le; 5% Receiver Sensitivity 0.2&mu;V Audio Distortion &le; 5% Spurious Response Rejection &ge; 55dB Adjacent Channel Selectivity &ge; 55dB Inter-modulation &ge; 55dB Audio Output &ge; 250mW Related Products SFE S820 Walkie Talkie SFE S555 Interphone SFE S780H Handheld Transceiver Certificates Tel: 86-595-22117363 Mobile: +86-15060981027 Email: Fax: +86-595-22201313 Web: Add: No. 15,Chenggong Rd. ,Daping Community,Donghai Street,Fengze District,Quanzhou City,Fujian 362000,China(Mainland). 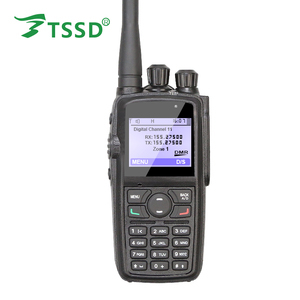 Shenzhen Changtaiwei Electronic Co., Ltd.
200 mile walkie talkie with texting for wholesales Feature of Walkie talkie T388 1. Distance Range:5KM 2. Operating frequency:PMR Walkie Talkie 446 MHz( customize supported) 462.5625 MHz - 462.7250 MHz (USA FRS) 446.00625MHz - 446.09375MHz (Europe PMR446) Other Frequency for Australia/Russia/Japan/ Korea . etc 3. Channel spacing: 25KHz (USA FRS), 12.5KHz (Europe PMR) 4. USA: 22 Channels Europe: 8 Channels 5. Vox control 6. PTT (Push To Talk) Function 7. Electronic Volume Selection 8. Scan / Call / Monitor Function 9. Automatic Squelch 10. Automatic Battery Saving 11. LED Torch 12. keypad Lock / Channel Lock 13. Roger Beep on/off function 14. Earphone and Charger jack available 15. Power Source: 3X AAA batteries (not included) Packaging and shippinging information 1. Original box: yes 2. Item size: 14.5*5.5*3.5*CM 3. Packaging size:70.8X35.6X25.0CM (BLISTER CARD) 5. Package weight: 220g/pair Our Service Experienced factory with monthly production capacity of 5000000, to ensure all types of customers. Support OEM / OEM Mature technical team in a timely manner to solve the pre-sale and after-sales problems One-stop service, we are your most solid overseas warehouse with technical support DELIVERY TIME: 3 Working Days for Sample Order. Xiamen Puxing Electronics Science & Technology Co., Ltd.
2.Q: How long is your delivery time9 A: Generally it is 3-5 days if the goods are in stock. 3.Q: Do you provide samples 9 is it free or extra 9 A: Yes, we need you to pay for our samples and freight. 4.Q: When can I find tracking information of sample9 A: We will send you the tracking number of sample within 2 days after delivery. Shenzhen Flyhigh Technology Co., Ltd.
Any quality problem and any accessories, we always support for free for our customers within 1 year. What's more, our R&D team will give you the professional suggestions on package, silk print,etc. As a general rule our MOQ is 3000pcs for customized earphones and headphones. Nanjing Haoma Technology Co., Ltd.
Shenzhen Anysecu Technology Co., Ltd.
Shenzhen Retevis Technology Co., Ltd.
Shenzhen Anni Shanghao Technology Co., Ltd. Export 1,000,000 pcs two way radios to 60 countries each year. Please send us inquiry or SMS us on Trade Manager. We promise to response in 24 hours. Walkie Talkie With Texting has been the major product in the Walkie Talkie market over the past year, and it was very popular in United States,Canada,Wales,Australia and France; As shown in the distribution chart, market shares of these countries are folowing: [ US:73.81%, CA:7.57%, GB:3.01%, AU:2.33%, FR:1.07%, other:12.22%]. What's the trends of Walkie Talkie With Texting product's market in 2018 (Dec 2016 to Jan 2019)?we have studied one years data on online sales, global shipping, search, sourcing and requirements of following products Walkie Talkie. Communications Equipments And Wireless Transmitting Equipments. Technological Development And Sale Of Two-way Radios,Here is the report.During the research period (Dec 2016 to Jan 2019), the major trends are as following.